Dr. Merabi grew up in Massachusetts, attended college at Brandeis University, worked at Franciscan Childrens’ Hospital as a Mental Health Specialist, attended Tufts University School of Dental Medicine, for his D.M.D. where he obtained numerous community service and research awards. He further earned an M.P.H. from the Harvard School of Public Health. 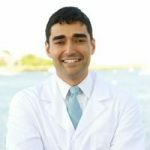 In addition to running his practice, Portside Family Dental in Newburyport, Dr. Merabi has worked for Cambridge Health Alliance as an Attending Dentist teaching Dental Residents in general practice and has been an Instructor for Harvard School of Dental Medicine for several years. Sleep apnea is a serious sleep disorder in which breathing repeatedly stops and starts. There is a broad range in regards to impact on breathing. Pauses in breathing can last from a few seconds to minutes, and can occur up to 30 times or more within an hour. If not treated it can interrupt sleep hundreds of times within a night meaning the brain and the rest of the body may not be receiving enough oxygen. You may have sleep apnea if you snore loudly, and you feel tired even after a full night’s sleep. If you think you might, schedule an appointment with your doctor. Treatment is necessary to avoid heart problems and other complications. Many people impacted by sleep disorders use a CPAP, Continuous Positive Airway Pressure machine to regulate airflow and ensure continuous breathing. Although CPAP machines are effective at regulating breathing, many patients find it extremely difficult to sleep with a mask adhered to their face. If you have Obstructive Sleep Apnea there is a much better solution. We provide an oral appliance alternative to the CPAP machine, and medical insurances can be billed for the device. If you have already had a sleep study and either cannot tolerate, or do not want a CPAP machine, this is a very effective alternative. 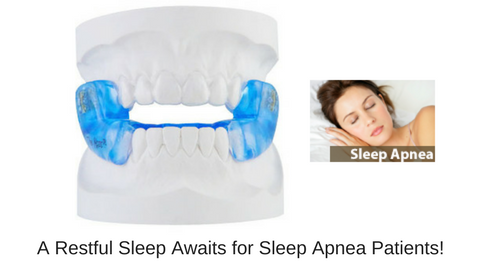 This oral appliance gives a patient a restful night and the ability to travel. As a member of the American Academy of Dental Sleep Medicine, I have extensive experience helping provide significantly improved quality of life for many patients. If you suffer from obstructive sleep apnea call my office, Portside Family Dental in Newburyport to schedule an appointment, 978-462-4590. A restful sleep awaits! Does your head turn when you see someone with a beautiful smile and stunning white teeth? Have you ever tried pharmacy grade teeth whitening products, or whitening solutions from a dentist office? Did you feel that the results were not worth the time and discomfort associated with the teeth bleaching solution you utilized? Advances in technology have drastically increased the effectiveness of teeth whitening, and the overall customer experience has been significantly enhanced. If first impressions are important to you then you must consider the light-activated teeth whitening system from Phillips Zoom. This cutting edge system enhances teeth whitening without teeth sensitivity and requires minimal time investment. The treatment is simplistic and can be administered by the local Newburyport teeth whitening experts at Portside Family Dental. You probably make time to have other cosmetic treatments at local Newburyport Salons and Spas such as hair, nails, eyelashes, facials, or waxing services. Think of teeth whitening as a treatment similar to spa services, and an opportunity do something for yourself. The results are immediate and actually continue to improve over time. While results vary from person to person, your smile will be noticeably whiter with Philips Zoom. With Philips Zoom you can get up to eight shades whiter teeth in one 45-minute office visit. Philips Zoom WhiteSpeed uses an innovative and exclusive LED light to help you safely reach a brighter, whiter smile in less time. 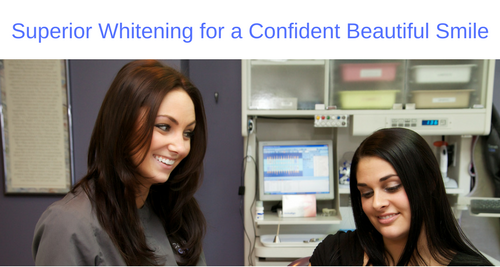 Looking for noticeable bleaching but worried about possible discomfort? Thanks to adjustable intensity settings for maximum comfort, 99 percent of patients experience little to no sensitivity with Philips Zoom WhiteSpeed. 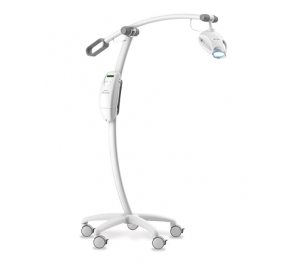 In a clinical study, Philips Zoom WhiteSpeed provided over 50 percent better whitening results than other in-office teeth bleaching treatments, both immediately following the procedure, a week later and after 30 days. View the videos below as customers share their experiences about using the Philips Zoom teeth-whitening solution. Visit the Philips Zoom YouTube channel for additional testimonial videos. At your initial consultation, your dental professional will verify that you’re a candidate for whitening, assess your shade and take impressions for your custom fabricated trays. Your in-office procedure will utilize the Zoom WhiteSpeed in-office whitening gel applications and the WhiteSpeed lamp will accelerate whitening. Post treatment, you will receive your fabricated trays, one DayWhite or NiteWhite take-home whitening gel syringe and a Relief ACP Oral Care gel syringe to relieve any tooth sensitivity. The Philips Zoom solution is superior to other teeth whitening solutions and is by far the fastest way to see impressive results. Treat yourself to an even more beautiful smile! Schedule a consultation appointment with the local Newburyport teething whitening experts at Portside Family Dental.